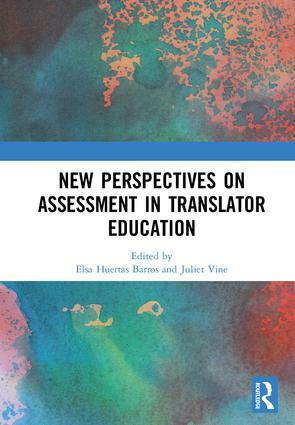 This book focuses on new perspectives on assessment in translator and interpreting education and suggests that assessment is not only a measure of learning (i.e. assessment ‘of’ learning) but also part of the learning process (i.e. assessment ‘for’ learning and assessment ‘as’ learning). To this end, the book explores the current and changing practices of the role and nature of assessment not only in terms of the products but also the processes of translation. It includes empirical studies which examine competence-based assessment and quality in translation and interpreting education both at undergraduate and postgraduate level. This includes studies and proposals on formative and summative assessment in a wide range of educational contexts, as well as contributions about relatively unexplored research areas such as quality assurance and assessment in subtitling for the D/deaf and the hard of hearing, and how closely translation programmes fit the reality of professional practice. The findings of this book lend support to existing theoretical frameworks and inform course planning and design in translation education. As such, it will be a valuable resource for translation educators, trainers and researchers, translation and interpreting practitioners and associated professionals. This book was originally published as a special issue of The Interpreter and Translator Trainer. Elsa Huertas Barros is a Lecturer in Translation Studies at the University of Westminster, UK. Her main research interests include translator education, translator competence, assessment practices, collaborative learning and student-centred approaches. Her work has appeared in books including Phraseology in Legal and Institutional Settings: A Corpus-based Interdisciplinary Perspective (2018) and Quality Assurance and Assessment Practices in Translation and Interpreting (2019). Juliet Vine is Senior Lecturer in Translation and Interpreting at the University of Westminster, UK. Her research interests are pedagogical research and contrastive rhetoric focusing on Chinese and western rhetorical traditions. Her work has appeared in books including Translation and Meaning (2016) and Quality Assurance and Assessment Practices in Translation and Interpreting (2019).